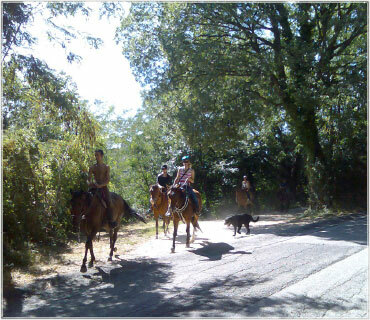 At various stables near Casperia with a selection of horses, rides and treks in the Sabina hills and countryside. Suitable for beginners and advanced riders. The Tennis Club in Casperia is a 30-minute walk or 10-minute drive. Rock climbing is very popular in the mountains near Casperia.Bring your own climbing equipment. Along the river Tiber in a beautiful nature reserve.